Known as the Greater Los Angeles Area or the Southland in South of California, the city Los Angeles is straggling over five counties namely Los Angeles, Orange, San Bernardino, Riverside, and Ventura counties. It is second largest metropolitan region in United States after New York and the largest urban agglomerations in the world. Los Angeles was the fastest growing region across the United States in 20th century. According to the U.S. census of 2010 there are 17.8 million inhabitants in the city on total area of 4,850 square miles (12,561 km2). The Los Angeles urban area contains Los Angeles County (population: 9,862,049) and Orange County (population: 3,010,759). The total population for the Los Angeles metropolitan area at the 2010 Census was 12,872,808. As per the 2000 census there were 16,373,645 inhabitants in the Greater Los Angeles Area. The racial breakdown was 55.1% White, 10.4% Asian, 0.3% Pacific Islander, 7.6% African American, 0.9% Native American, 21.0% from other races, and 4.7% from two or more races. 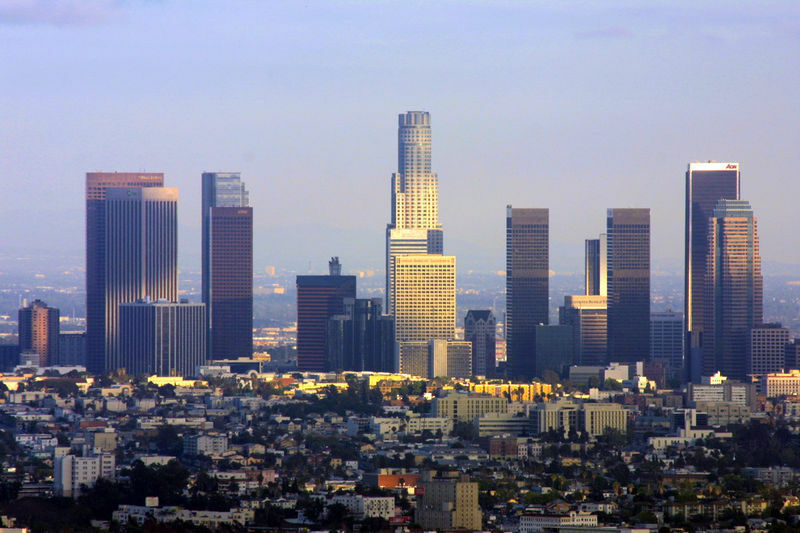 Los Angeles County is the most populous in US and is home to over a quarter of all California residents. Los Angeles surrounds many cities e.g. Santa Monica and Beverly Hills are considered part of the Westside, while Compton and Inglewood are associated with South L.A. Adjacent areas that are outside the actual city boundaries of incorporated Los Angeles but border the city itself, include the Santa Clarita Valley, the San Gabriel Valley, South Bay, and theGateway Cities. Orange County, together with Los Angeles County, is part of the Los Angeles metropolitan area, the inner core of the Greater Los Angeles region. The county is mostly suburban, with no defined urban center. Originally a primarily agricultural area dependent on citrus crops, avocados, and oil extraction, Orange County became a bedroom community for Los Angeles upon the completion of numerous freeways linking it to the city, most notably Interstate 5. Ventura County is mostly suburban and rural and also has developed primarily through the growth of Los Angeles. The northern part of the county, however, remains largely undeveloped and is mostly within the Los Padres National Forest. The Inland Empire, consisting of San Bernardino and Riverside Counties, contains fast-growing suburbs of the region, with a large to majority percentage of the working population commuting to either Los Angeles or Orange Counties for work. Originally an important center for citrus production, the region became an important industrial area by the early 20th century. Mediterranean climate was the favorable for the explosive growth of the region in the 20th century. The availability of land and many booming industries such as oil, automobile and rubber, motion pictures and aerospace which in turn attracted millions of people from all over the United States and world. In early 20th century, production of citrus plays a vital role in the development of region. While the New York metropolitan area is presently the most populous metropolitan area in the United States, it has been predicted in the past that Greater Los Angeles will eventually surpass Greater New York in population. Whether this will happen is yet to be seen, but past predictions on this event have been off the mark. A 1966 article in Time predicted Greater Los Angeles would surpass New York by 1975, and that by 1990, would reach close to the 19 million mark. But the article’s flawed definition of Greater Los Angeles included San Diego, which is actually its own metropolitan area. A 1989 article in The New York Times predicted Greater Los Angeles would surpass Greater New York by 2010, but the article predicted the population would be 18.3 million in that year, a number Greater New York has already surpassed as of 2007 by half a million people. As of 2009, the New York metropolitan area had a population of 22.2 million compared to the Greater Los Angeles Area’s 18.7 million, about a 3.56 million persons difference. Percentage growth, however, has been higher in Greater Los Angeles over the past few decades than in Greater New York. Greater Los Angeles Area is the home of the US national headquarters of almost all Asian major car manufacturers except Nissan, Toyota, and Subaru (Nissan moved to Tennessee; Toyota moved to Texas; Subaru first located inPhiladelphia but moved to New Jersey); Honda, Mazda, Mitsubishi, Suzuki, Hyundai and Kia have set up their national headquarters here. Aesthetic transportation network is one of the shining stars for Greater Los Angeles. Many notable is its extensive highway system. The area is a junction for numerous interstates coming from the north, east, and south and contains the three principal north-south highways in California: Interstate 5, U.S. Route 101, and California State Route 1. The area is also home to several ports, including the twin ports of Long Beach and Los Angeles, which are the two busiest in the United States, as well as Port Hueneme.